This last year has been a challenge with the battle of the payment processors – PayPal vs Payza. With the changes that Paypal made most of us have been forced to find other payment processors. As many of you have seen, PayPal changed its terms and many of the traffic exchanges were told they could not use PayPal anymore. This is why you seen so many adding new payment processors and thus Payza, Solid Trust Pay, Perfect Money, Payeer, Stripe, Payline, and many Bitcoin sites. Most of you who have been around for a while were leery about Payza because of past dealings with AlertPay – but we have to learn to adjust and go with the flow. Life deals you things that you don’t like sometimes but you have to move on to survive. Now I know it’s not been easy for members with Payza and the fees are higher than with PayPal. 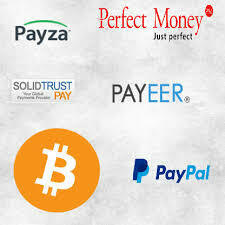 Some sites have not been approved yet, some have had problems getting their bank approved and the excuses for NOT wanting to use Payza go on and on. Well I have been one of them….. my bank was not accepted and I didn’t have a MasterCard Credit Card – my only card was Visa which was not accepted either. So I can relate to all the frustration that I have been hearing! Here is what I have found that is working for me. I applied for a PayPal Debit Card and it happens to be a MasterCard. Since most of my money still comes through PayPal – it doesn’t matter anymore. 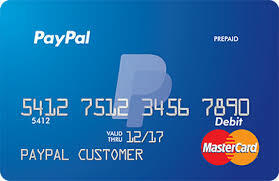 I have added my PayPal Debit Card to Payza, so when I need money in Payza I just use it. So if you are having issues with Payza like I did – this might be an option for you so that you can start getting your money through Payza. AND yes, I only put in and keep in Payza, what is needed — like many others I also lost my money when it was AlertPay. Another feature that I enjoy with my PayPal Debit Card is the 1% cash back that is deposited right in your PayPal account – always nice logging in and finding that surprise. Because of the 1% cash back, I now have been using this card more and more and you can use it anywhere offline or online that takes MasterCard. I hope this will help clear up some misconceptions. I also hope that more of you will try Payza as this new way of paying and collecting your earnings is here.